colour play in barcelona. | owl's house london. 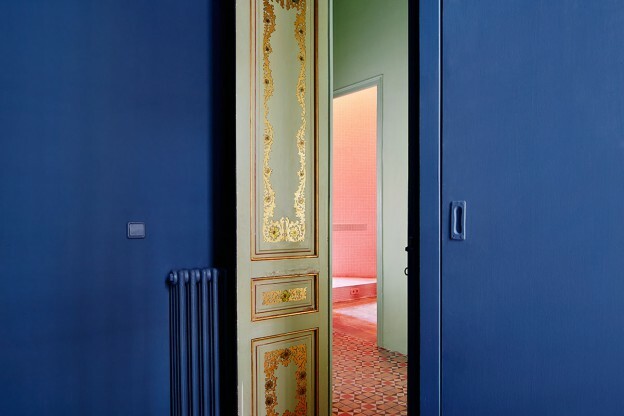 Located in a typical, turn of the century apartment building in Barcelona is this vibrant interior. Little has been done to alter the layout over the three floors, and views through to the outside are not evident. 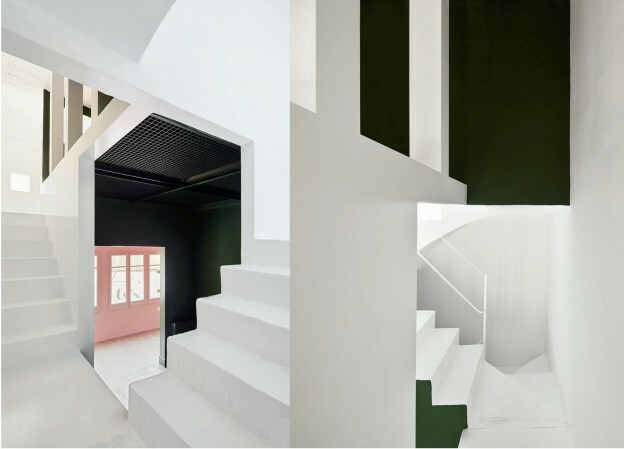 However, clever cut outs have been created within, offering unusual angles and vistas through from one level to the next. The most striking element, though, are the colours. Deep forest green, pale salmon, strong white and cobalt blue are used to stunning effect on adjacent as well as distant planes. The result allows each surface to take on a sculptural, stand alone quality, whilst still working together in a sort of Escher-style sum of parts. 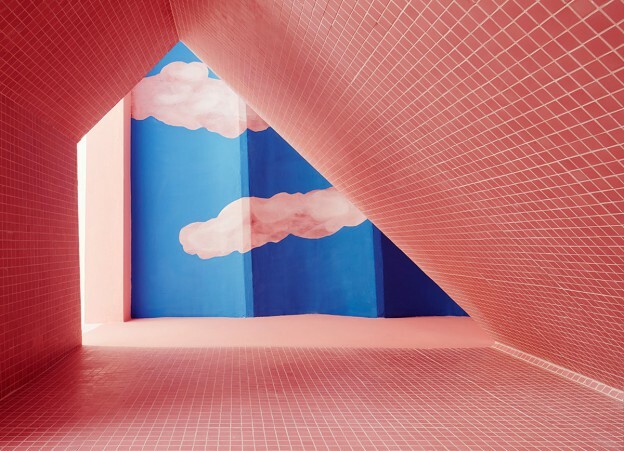 A surrealist sky above a bathroom void draws the eye up. The overall effect is mesmerising. Apart from the vibrant paintwork, decoration is restricted to the typically colourful tiled floors of the era. 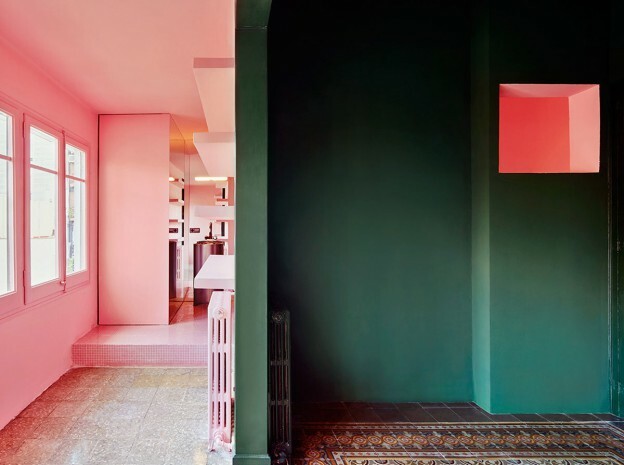 I also love the way colour blocking is used in this interior. What do you think of this combination of colours? This entry was posted in wonderful spaces. 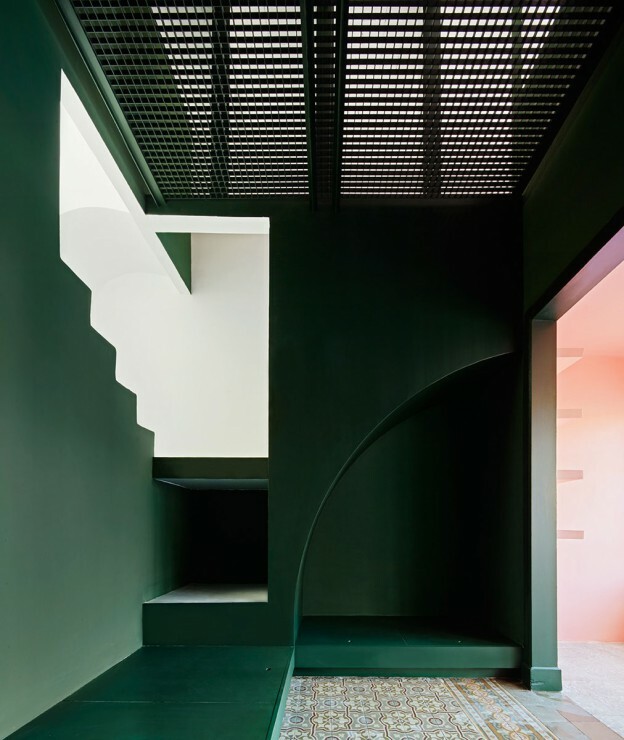 and tagged architecture, Casa Horta, colour, colour blocking, design, Escher, interior on March 1, 2016 by owls house london..